Here is what you’ll need! Heat oil in a large skillet over medium-high heat. Add the peppers and onions and season with salt and pepper, to taste. Cook, stirring occasionally, until vegetables have softened. Remove from pan, set aside. Add ground turkey to hot skillet. Break apart with a wooden spoon to separate. Season with taco seasoning, stir, cooking until meat has browned and cooked through. Stir in tomatoes. Bring to a gentle simmer for about 5 minutes. Remove from heat. To assemble the taco bowls, add a base of rice to 4 food storage containers. Top each with a scoop of black beans, corn, salsa, cheddar cheese, cooked peppers and onions, and taco meat. Garnish with fresh cilantro and a lime wedge. Store in the refrigerator (and enjoy any extras immediately). Can be kept refrigerated for up to 4 days. Subscribe to our mailing list and get interesting recipes and cooking tips to your email inbox. 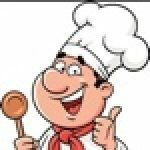 Welcome to CookeryShow.com - We share cookery related videos here. Share with us Videos you found interesting.